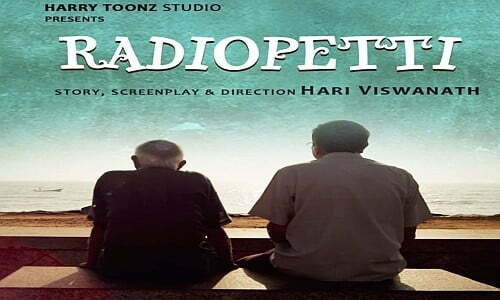 Radiopetti (English: Radio Set) is a 2015 Indian Tamil-language drama film directed by Hari Viswanath, starring Ramanujam TVV and Lakshmanan Koratur in lead roles. The film became the first Tamil film to win the KNN Audience Award in the official competition in Busan International Film Festival 2015, and was an official selection in Indian Panorama for 46th International Film Festival of India held at Panaji, Goa. Hari Viswanath, a Civil engineer by profession explained that the idea of making this film struck him only when he saw an old man, who couldn’t hear well walking through the street as nobody paid attention to him. This made Viswanath thinking about the lives of elderly people and his own grandfather who always turn on his Murphy Radio as a routine affair. The radio tune signalled all activities of grandfather as well as Viswanath like praying, reading, going to school, time to eat and so on. Viswanath felt the agony of him when he just thought of losing the radio one day and felt the pain on how he will manage after losing the radio. Viswanath decided to mix this fictional thoughts and real experience into a film and thus Radiopetti began its journey.